Serbia's Government aims to cut down unemployment to below 20 percent and tries to attract new investors. 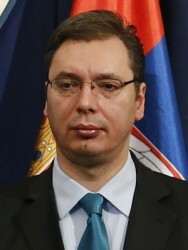 Serbia's First Deputy Prime Minister and Minister of Defence Aleksandar Vucic said yesterday that a key aim of the government of Serbia was to reduce unemployment to the level below 20 percent in a few years’ time, which will be carried out by a series of reforms. This article includes a total of 181 words.